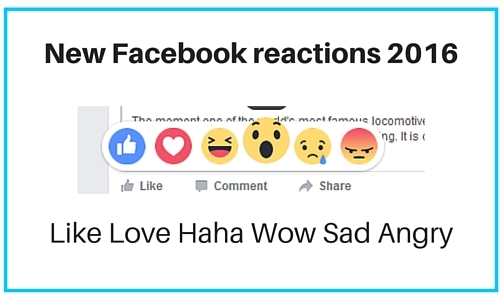 Getting the new reactions hasn’t been a quick process for the team at Facebook – if you want to know more about how the designers went about creating and testing the new reactions, check out this fascinating insight from insider Geoff Teehan. So what do these new emojis mean for your marketing? 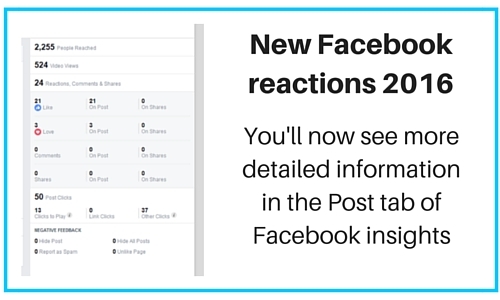 The first thing you’ll notice is your insights data, which is now showing more details of engagements on individual posts. 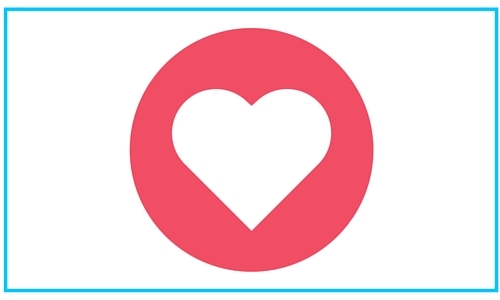 The rich engagements with your posts can also give you a deeper level of understanding about your audience – rather than just clicking a ‘like’ button below a stunning photo, your fans can now tell you “Wow!” or show that they “Love” the image. This information can help you provide more content that they’re going to enjoy seeing. 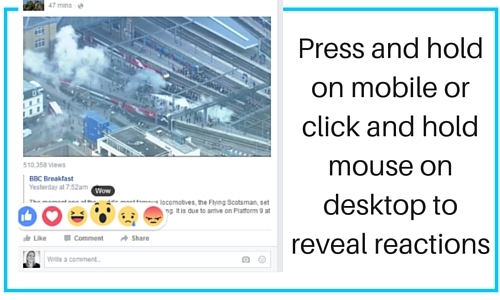 But as with any new feature of a social network, this isn’t a game changer. Your overall approach should still be led by clear goals , a consistent strategy, varied content and a genuine interest in your audience. Keep doing this, and you’ll see results that you’ll love. This change has already happened for highly commercial terms and is being introduced for more general and long-tail search terms. More searches are made on mobile devices where sidebar ads weren’t shown anyway, but also there is a lower click-through on side-bar ads as they clearly stand out as paid ads. Ads in positions one and two are almost indistinguishable from organic search results, according to tests with non-technical users, so they account for over 85% of all ad clicks in January, while sidebar and bottom of the page ads account for less than 15%. What does this mean for my Google adwords campaign? Last week there were potentially 11 ad spots on page one of Google on a desktop search, but with the new layout this has been reduced to just six or seven (some at the top of page one and some at the bottom) so the competition for these prime locations is going to increase. 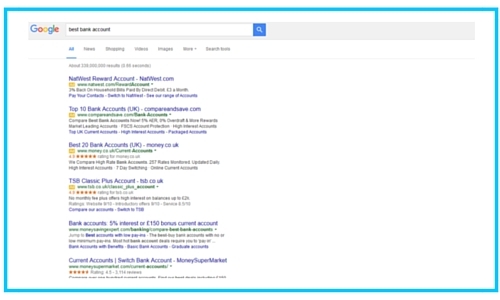 “There’s now a reduced supply of above-the-fold ad positions, but the demand has not changed. 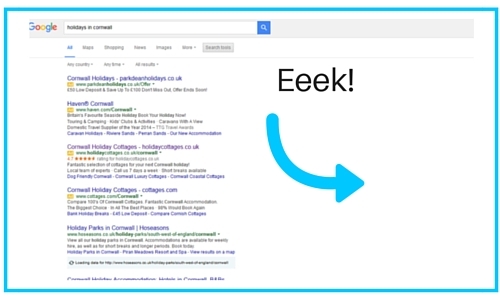 This will make it likely that average CPCs will rise significantly for AdWords advertisers. That’s just speculation at this point, and I’m sure advertisers are hoping otherwise, but it is a probable scenario.” Search Engine Journal, February 2016. 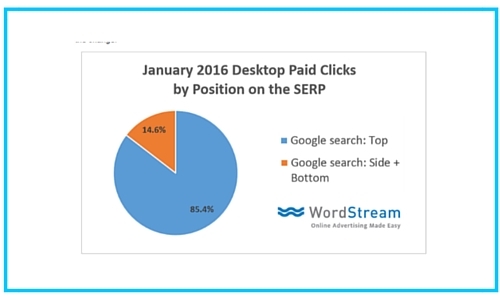 Your ads should remain unchanged on mobile but you may see a decline in click-through-rate of more competitive keywords on desktop. Long-tail keywords and niche searches for which there is less competition are still showing organic search results high up page one. 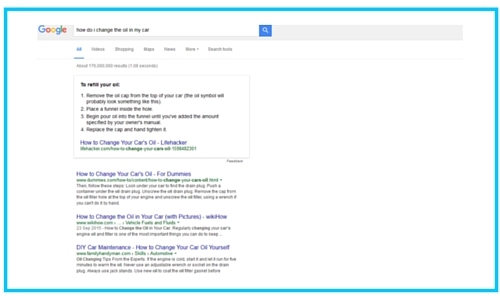 I conducted a search this morning (see above) asking how to change the oil on my car and got a knowledge graph result in position one followed by the rest of the organic search results. You could panic, run around bemoaning the death of organic search results on page one, or you could pour all your energy into creating the most amazing content for your audience so they search for you over anyone else when they need what you offer. Not looking forward to explaining to my client that they have even less impressions now and if they still want to use AdWords they are going to have to pay more than before! Probably time to look at alternative strategies! Ha – it’s going to be interesting for sure – always worth relying on a number of platforms for traffic rather than putting all eggs in one basket – just one small change to an algorithm or functionality that’s out of your control and it can mess up your whole plan!